Dr. Anne Whitelaw is the Associate Dean of Research in the Faculty of Fine Arts and Associate Professor in the Department of Art History at Concordia University, where she teaches the history of visual culture in Canada, theories of museums and exhibitions, historiography and archives, and the history of advertising. Previously, she was a faculty member at the Department of Art and Design at the University of Alberta. After completing a BFA in Art History at Concordia University, Dr. Whitelaw completed an MA in the History and Theory of Art at the University of Essex and a PhD in Communications at Concordia. She undertook post-doctoral research at the University of Rochester in the Department of Visual and Cultural Studies. Dr. Whitelaw’s research examines the intersections of art historiography and cultural institutions in Canada, with a particular focus on practices of exhibition and collecting as a means of understanding the formation of nationhood. She has published extensively on the display of Canadian art at the National Gallery of Canada, on the integration of Aboriginal art into the permanent displays of national museums, and on the work of women in North American art museums. Dr. Whitelaw is a co-editor of The Visual Arts in Canada: The Twentieth Century and her book Spaces and Places for Art: Making Art Institutions in Western Canada 1912-1990 is forthcoming from McGill-Queen’s University Press. She is the co-leader of a SSHRC-funded partnership development grant examining the global circulation of objects from northern North America and is a member of an international group of scholars exploring the writing of art history in settler-colonial nations. 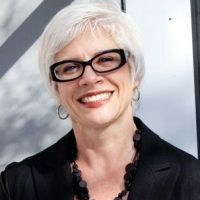 Dr. Whitelaw has served on a broad range of departmental, faculty and university committees at both the University of Alberta and Concordia and is currently the President of the Universities Art Association of Canada (UAAC).